Rory leads our Real Estate team and advises on all aspects of commercial property, including general conveyancing law, acquisition and disposal of development land, real estate finance, commercial landlord and tenant law, portfolio and asset management, investment acquisitions and disposals, real estate due diligence, real estate aspects of company share and asset disposals and real estate aspects of corporate insolvency. Rory appears in international legal directories and is recommended as a leading lawyer by Chambers Europe and The Legal 500 EMEA. 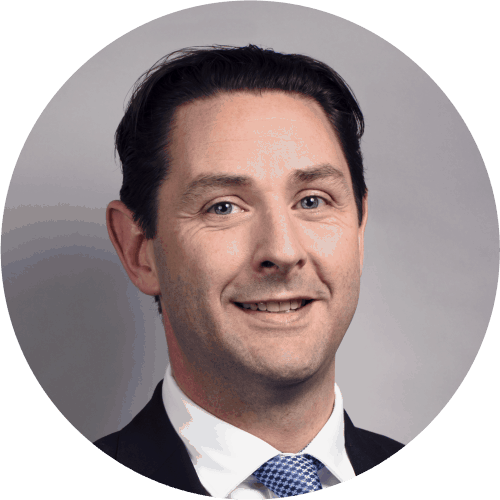 Rory qualified as a solicitor in 2005, having graduated from University College Dublin with a Bachelor of Arts Honours degree. He subsequently obtained a Diploma in Commercial Conveyancing Law from the Law Society of Ireland. Rory is also a non-practising member of the Law Society of England and Wales. He joined Whitney Moore in September 2014 as an associate, having spent nine years practising at another Dublin law firm. He became a partner in August 2015. ‘Rory McDonald assists with conveyancing law, real estate finance and asset management.